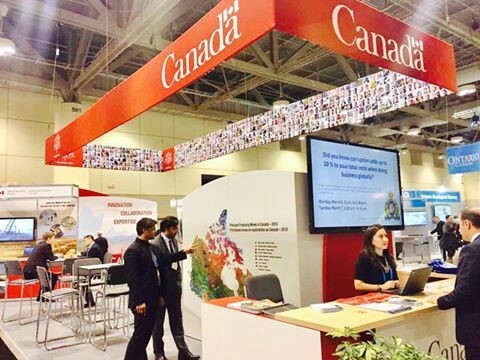 The Embassy of Afghanistan in Ottawa is presenting its compliment and appreciation all the stakeholders contributed to support Afghanistan’s Participation in PDAC Mines Exhibition Show. In the framework of Afghanistan Economic Development Framework, and specifically the Strategy on Trade and Investment and Brussels mutually agreed framework for Afghanistan Resilience and Aid Independence, the Afghanistan Embassy in Ottawa has developed its plan for 2017, where promotions of trade and investment between Canada and Afghanistan is one of the strategic priorities. The new team of diplomats under the leadership of the new Ambassador have made a lot of efforts to enable a better representation of Afghanistan delegation to PDAC. To us here in the Embassy, PDAC is not a show, but a start of the longer-term process in promoting forighn direct investment in minerals in Afghanistan. The embassy has a tree-way approach to secure support in this sector. State to state cooperation in building legal frameworks and develop institutions and capacity in this sector. 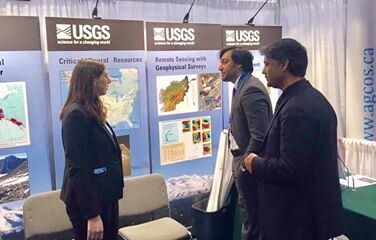 Privet Sector to Privet Sector Partnership with connecting the Afghan and Canadian Businessmen through a joint-venture, and third is to promote cooperation among the non-state actors for mining governance, social accountability and environmental protection. 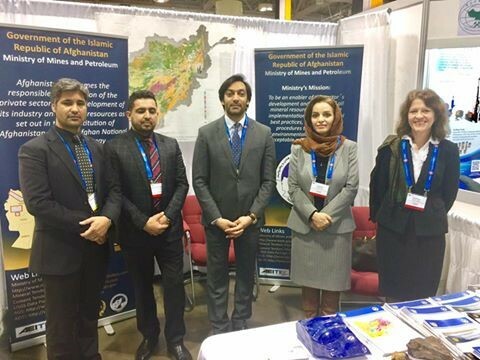 From the Embassy, the Minister Councilor has attended the PDAC and welcomed the delegation from Afghanistan lead by Deputy Minister for Commerce and Industries. 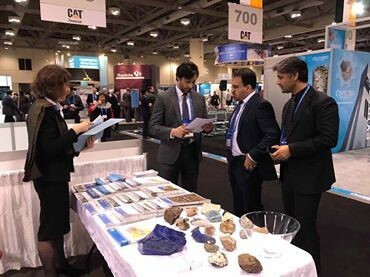 The team attended the PDAC exhibition lead by DM Mr. Qurban Haqjo, Nader Yama – Minister Councilor from Afghanistan Embassy in Ottawa, General Consular from Toronto, An Adviser from Ministry of Mines and Petroleum, and the members from Afghanistan Canada Business Federation in Toronto. The delegation attended in the Afghanistan Boot, admitted to some sessions, had meeting in NATO Canada Association on Energy and Mining, meetings with Afghan Business Community as well as Afghan Young Professionals also conducted to discuss both the macro trade issues, as well as mining and energy specific matters. 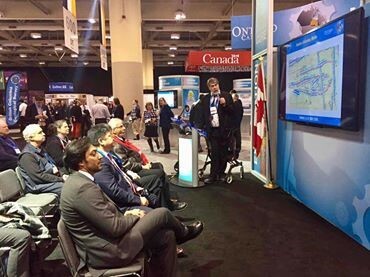 The embassy is very much enjoyed the participation in PDAC, enjoyed both the accompany of the delegation from Afghanistan and the in Toronto, and we have learned how strategically important PDAC is, we have obtained a great knowledge of all aspects of mining from geological survey, to corporate governance and extraction process. The Afghan Boot, with minimum resources in hand has attracted a great number of companies, experts and students of this sector. Around few hundreds of business cards collected and dozens of questions responded, where have made as to understand that high interest exist, but requires a lot of efforts and clarity both at the policy and strategic level all the way to operational and tactical levels. The organization of PDAC facilitated by DPGI lead by Mr. Jalali and Mr. Ahmadi supported by the Afghan Embassy and Consulate was very professional and very proactive. The attendance to PDAC was very smooth, the outreach materials, side sessions and importantly the support and facilitating of the entire program being made by ACBF was just amazing. We enjoyed very much their technical support and expertise with very minimum resources in Press statement of Embassy of Afghanistan in Ottawa hand, but depicting high capacity to make it a unique practice next year given the wellpreparation of the Afghan delegation and provision or needed resources. We here in the embassy will be preparing a detail report on the PDAC Exhibition with much focus on the way forward with key recommendations summarized here bellow: 1. The Afghanistan Government have to set some clear policy direction and lines in-light of which we be able to have a very informative participation. 2. A Joint Team of Afghan Delegation with members from Ministry of Mines, Commerce, Chamber of Commerce and Civil Society needed attend the next PDAC 3. The delegation should be lead by the minister of mines with a clear roadmap for show up in PDAC, the side sessions and all in all processing investment and trade in this sector in Afghanistan. 4. The outreach package should be well complete and advanced. This requires enough info from concerned ministries and greater financial support. 5. On logistic aspects, the preparation for the next PDAC in 2018 should happen as of April this year. Coordination meetings among the stakeholders at all levels have to happen with clarification of policy level issues, roles and responsibility, application for visa, and program for side sessions. Last but not least, availing this opportunity, on behalf o the Embassy, we would like to thank the GIZ for their financial supporting the Afghan Delegation participation in PDAC. The GIZ support to Afghanistan were always very strategic, Afghan-lead, flexible, on time and importantly in alignment with Afghanistan development framework during the transformation decade.